The Float Table is classical physics applied to modern design. 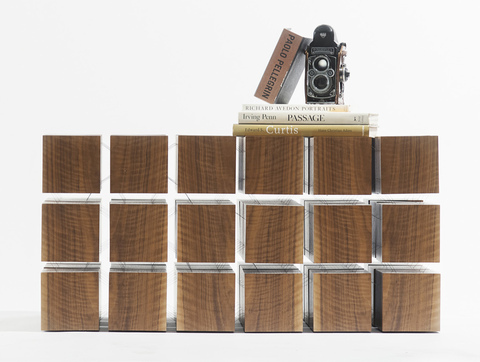 The piece is a clever matrix of "magnetized" wooden cubes that levitate with respect to one another. The repelling cubes are held in equilibrium by a system of tensile steel cables. Each handcrafted piece is precisely tuned to seem rigid and stable, yet a touch reveals the secret to Float's dynamic character.